This entry was posted in Care Management, Foreclosure, HECM, Home Health Care, HUD, MN Reverse Mortgages, Retirement, Reverse Mortgage, Senior Financing, Senior Issues, Social Work, Uncategorized and tagged Boomers, Care Management, Caregiving, FHA, Finances, Financial Planning, HECM, Home Equity Conversion Mortgage, Home Health Care, Minnesota Reverse Mortgage, Negatives of Reverse Mortgages, Retirement, Reverse Mortgage Benefits, Reverse Mortgage Details, Reverse Mortgage Facts, Senior Advocacy, Senior Finances, Senior Housing, Senior Independence, Senior Options, Senior Real Estate, Seniors, Social Workers by Beth Paterson, CRMP. Bookmark the permalink. My husband and I are thinking of buying a new condo. I am 61 and my husband is 71. We are looking at doing a reverse mortage,however I am not old enough yet. What would be the best way to do this? Should we get a conventional loan for the first year? Should my husband get it in his name only with me as a beneficiary,and then refinance in a year? We don’t want to lose this property so I feel pressured to do someting,but I don’t want to make a mistake. Can you help? Good for you for exploring the option before signing documents. While I can’t tell you what is right for your situation I can say that you should consider several factors. One, is the condo you desire to purchase FHA approved? Condos do need to be FHA approved to do the reverse mortgage – if not there is a process to get the approval and that could take some time. Is this a new condo – there are some different qualifications for new condos. Second, when do you turn 62? You could start the process and go through the reverse mortgage processing and underwriting and then close on your 62nd birthday – this might be a good option if your birthday is within the next couple of months (and the condo is FHA approved). You would need to work with all parties involved (seller, real estate agents, reverse mortgage specialist, etc.) for the timing. One of the risks of closing in your husband’s name only is that if something were to happen to him and he was no longer in the home as his primary residence the loan would become due and payable. You would then have to find financing to pay off the reverse mortgage or move. Another risk would be whether you could qualify for enough funds to pay off the current reverse mortgage in the future. Being the loan amount is based on the age and the older one is the more they can qualify for, if refinancing under your age of 62 you would not be qualifying for as much as your husband would. If this becomes the situation would you be able to have funds to cover the difference? Do you qualify for a conventional loan and can you make the payments? If you are in Minnesota, Oregon or Washington I would be glad to discuss and work with you. I can be reached at 651-762-9648 or 1-877-590-9648. Or if you are in another state I would recommend you find a mortgage broker that specializes in reverse mortgages. 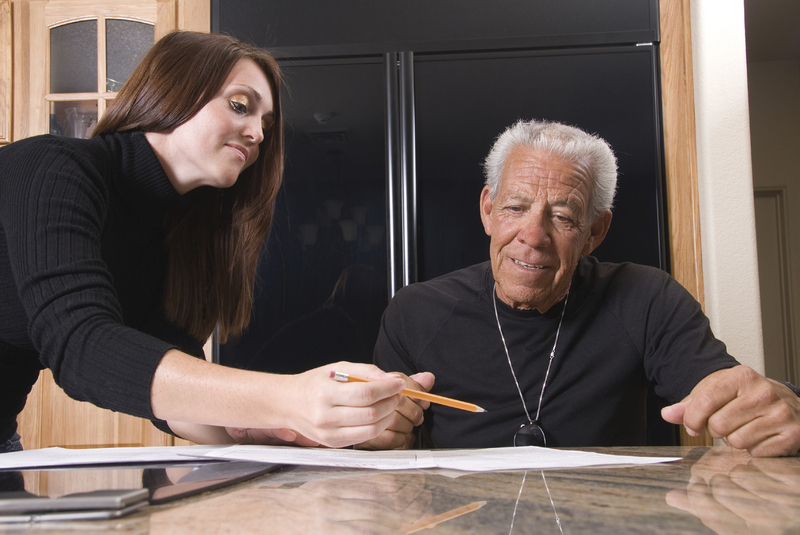 Please review, “What to consider When Talking With Reverse Mortgage Lender’s,” found on our website, http://rmsidac.com/WhattoConsiderWhenTalkingtoLenders.php , to assist you in who to choose as your reverse mortgage originator.